At the 11th hour on the 11th day of the 11th month World War I ended. Lest we forget. 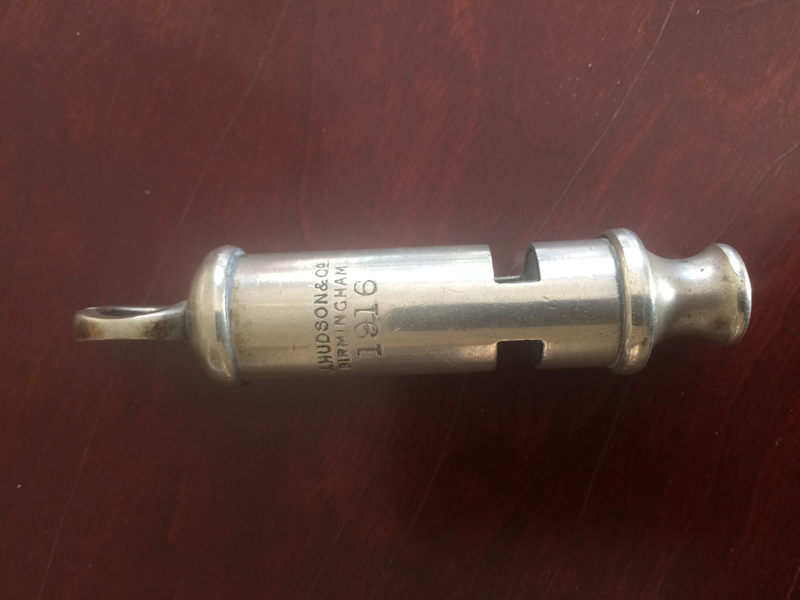 The 1916 Hudson trench whistle was amongst my grandfather's keepsakes from World War I. Hear it in the video. One hundred years ago today the Hundred Days Offensive began on the Western Front. It led to the end of World War I. Another year passes into history. 2017 promises to be even busier with the new book. Much to consider. Yesterday marked the anniversary of the first landings at Gallipoli, where my grandfather was shot. It is a hauntingly beautiful place, untouched by time. Silence dominates and the well maintained graves of the war dead are in stark contrast to the wildness of the terrain. I'm pressing on with book No. 2, which is slowly evolving. A word of thanks to those of you who purchased my father's book for Christmas. Happy Christmas to all. 70 years ago my father, then 24, was in India with the RAF. The news of VE Day felt unreal to him.... He was to remain there until nearly the end of 1945, despite promises of an earlier return home. His personal thoughts, the deprivations and the uncertainties he experienced, coupled with the surprises, the momentary joys and frustrations will be included in 'Two Lives, Two World Wars, as will his amusing pen and ink sketches of life in the RAF.